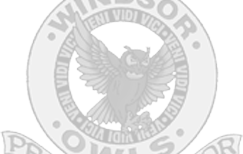 Is it Semester 2 and does your SISk12 home page only show your Semester 1 classes? Here is a quick step-by-step fix! 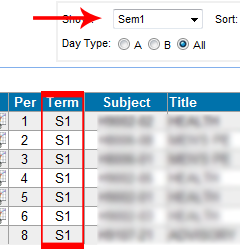 One option to see 2nd Semester classes is to select “Sem2,” but what about next year’s Semester 1? 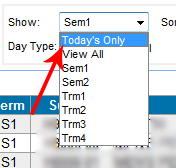 To save time, select “Today’s Only” instead. 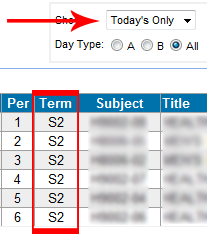 You should now see your classes for the current day in the list.